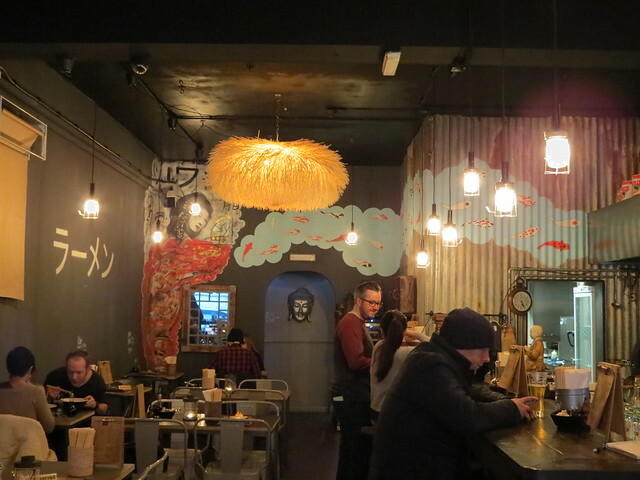 Today I’m posting a very much overdue review of Sticks & Broth in Bristol. A year ago (can it really be that long?!) this poster appeared in an empty shop near my office, and my colleagues and I all got incredibly excited! 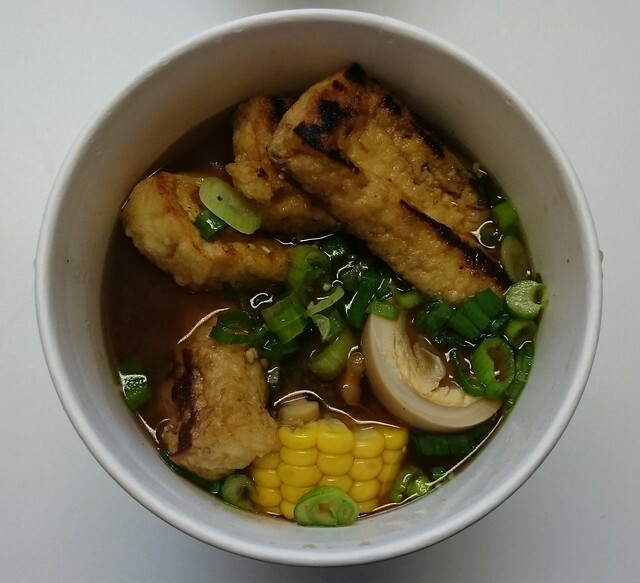 Sticks & Broth, Bristol’s first real ramen restaurant opened last summer, and I couldn’t tell you how many times I have dined there. I’d be lying if I said it wasn’t partly down to convenience – this restaurant is a stone’s throw away from my office – but the main reason I keep going back to Sticks & Broth is because it’s damn good food. It helps that the staff are also super friendly, too. 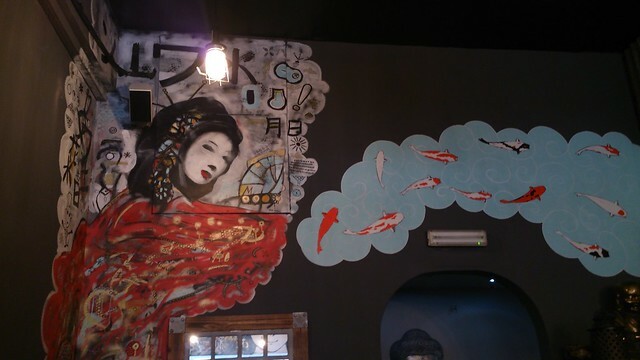 The restaurant is cool, with street art style decoration and fascinating fluffy lamps. There’s always a great atmosphere, both lunch time and dinner time, and it’s simply a really nice place to be. The menu is great. 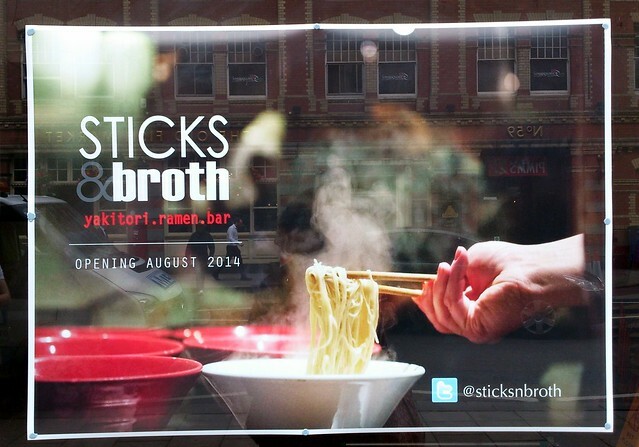 Of course, the main reason to go to Sticks & Broth is for the ramen. Who wouldn’t want a big bowl of delicious noodles in soup? 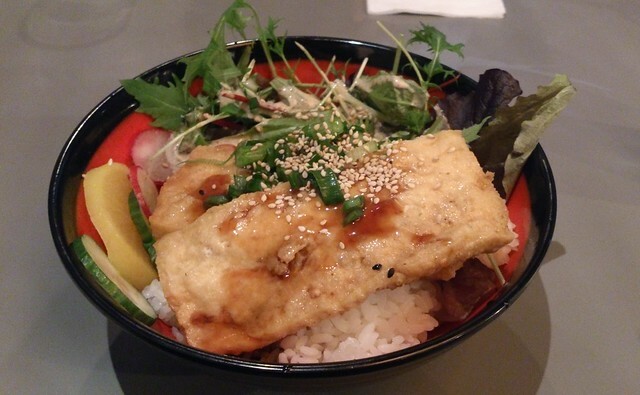 But in case that doesn’t float your boat there’s plenty more on offer, including donburi (rice bowls) and yakitori (chicken on sticks). 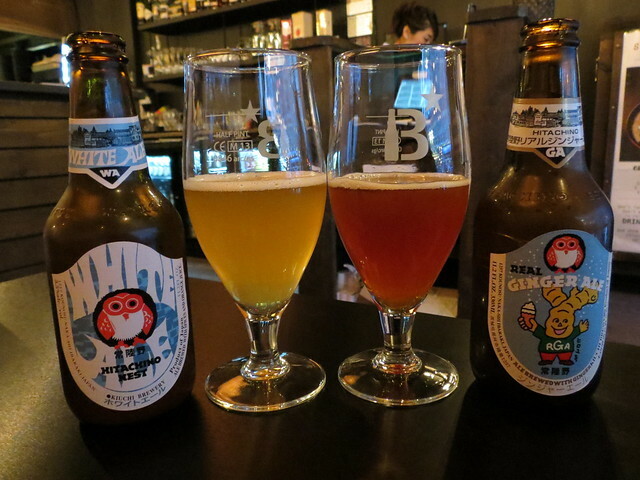 They also have an impressive Japanese craft beer selection. 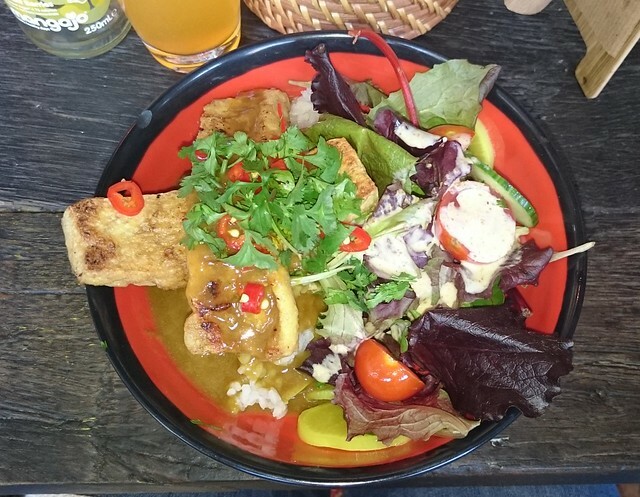 I don’t eat meat, so I can’t comment on the whole menu, but I think I’ve tried just about all of the tofu and fish dishes, and I’ve never been disappointed. The ‘veg ramen’ which features a grilled tofu cake is my absolute favourite, and it’s often my soul food when I’m having a bad day! The ‘tofu teriyaki don’ is good, although not as filling as the ramen. And the ‘tofu curry don’ is really yummy too. I’m told the meat dishes are good too – my colleagues and I certainly keep going back again and again, so Sticks & Broth must be doing something right! 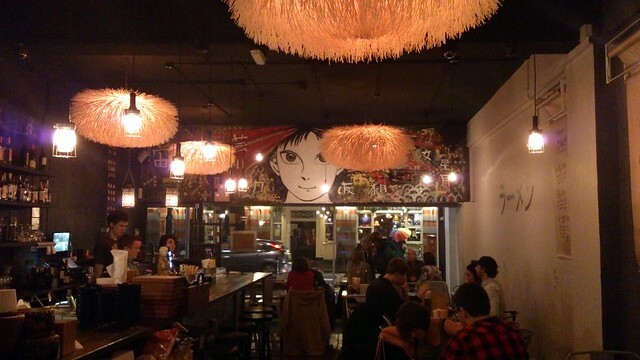 If you happen to be in Bristol, I highly recommend checking out Sticks & Broth. 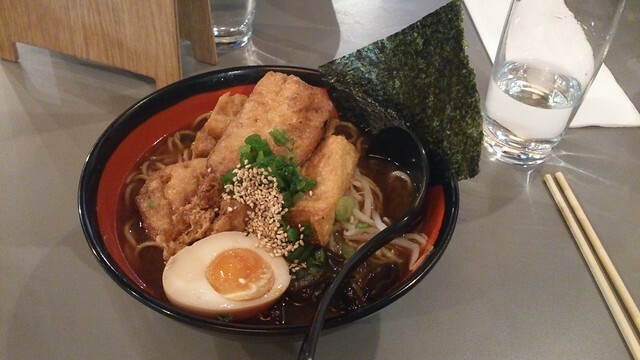 In my opinion it’s a rival for all the larger and more famous ramen places in London, and it’s without a doubt the best ramen you’ll find in the South West! 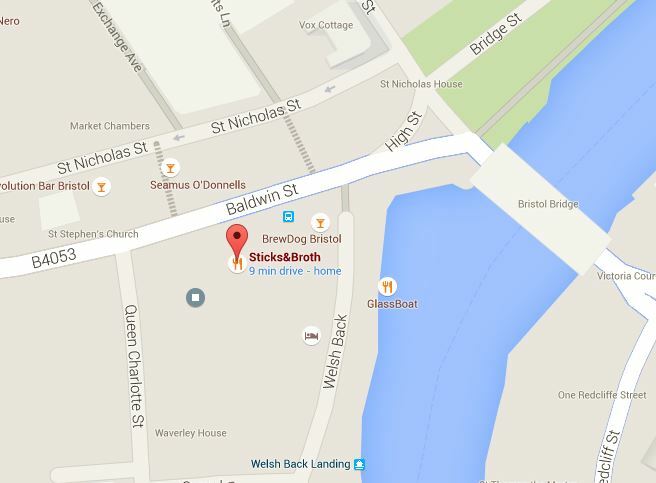 Sticks & Broth is on Baldwin Street, BS1 1QB. Check out the Sticks & Broth website here.